There are a few of different kinds of hockey, including ice hockey and field hockey. Obviously, the one of the biggest differences between the sports is the surface on which they are played. Some suggest that field hockey has been around for thousands of years. There is evidence to support that a similar game was played by ancient people in Greece and Rome. Ice hockey has been around, officially, since the late 1800's when the rules were established by J.A. Creighton in Montreal, Canada. The first league was in place by the early 1900's. There are currently 31 teams in the National Hockey League (NHL). Hockey is a team sport with six players on two opposing teams. The game is played on a rink of ice with two goals at each end. Standard rink size is 200 feet long and 85 feet wide. Players, all wearing ice skates, move a disk called a puck around the ice trying to shoot it into the other team's goal. The goal is a net that is six feet wide and four feet tall. Each goal is guarded by a goalie, who is the only one who can touch the puck with anything other than his hockey stick. Goalies can also use their feet to block the puck from entering the goal. A hockey stick is what players use to move the puck. It is usually 5-6 feet in length with a flat blade at the end of the shaft. Hockey sticks were originally straight sticks made of solid wood. The curved blade wasn't added until 1960. Modern sticks are most often made of wood and lightweight composite materials such as fiberglass and graphite. The puck is made of vulcanized rubber, which is a much better material than the first pucks. 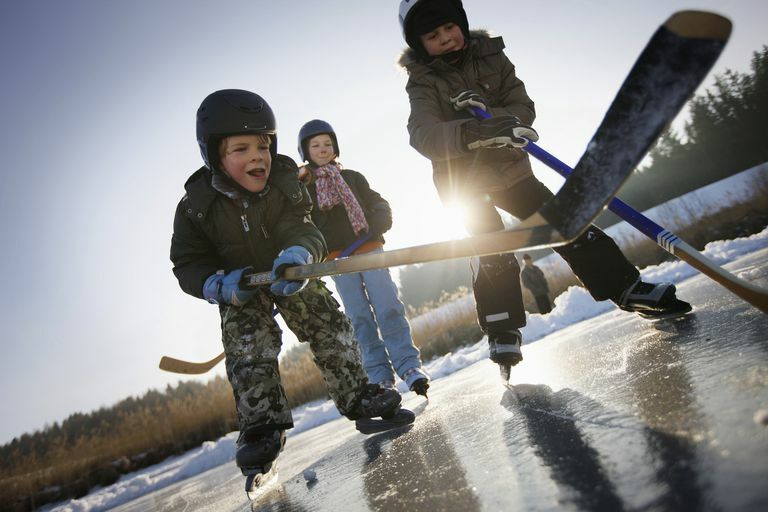 It's said that the first informal hockey games were played with pucks made of frozen cow poo! The modern puck is typically 1-inch thick and 3 inches in diameter. The Stanley Cup is the top award in hockey. The original trophy was donated by Frederick Stanley (a.k.a. Lord Stanley of Preston), a former Governor General of Canada. The original cup was only 7 inches high, but the current Stanley Cup is almost 3 feet tall! The bowl at the top of the current cup is a replica of the original. There are actually three cups - the original, the presentation cup, and a replica of the presentation cup. Unlike other sports, a new trophy isn't created each year. Instead, the names of winning hockey team's players, coaches and managers are added to the presentation cup. There are five rings of names. The oldest ring is removed when a new one is added. The Montreal Canadiens have won the Stanley Cup more often than any other hockey team. A familiar site on hockey rinks is a Zamboni. It is a vehicle, invented in 1949, by Frank Zamboni, that driven around an ice rink to resurface the ice. If you have an ice hockey fanatic, capitalize on his or her enthusiasm with these free hockey printables. See how many of these hockey-related vocabulary words your young fan already knows. 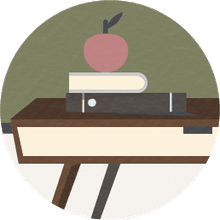 Your student can use a dictionary, Internet, or reference book to look up the definitions of any words he may not know. Students should write each word next to its correct definition. Let your student have fun reviewing hockey vocabulary with this word search puzzle. Each hockey term can be found among the jumbled letters in the puzzle. For more stress-free review, let your hockey fan fill out this crossword puzzle. Each clue describes a word associated with the sport. Students can refer to their completed vocabulary worksheet if they get stuck. Use this worksheet to allow your student to practice her alphabetizing skills with the vocabulary associated with her favorite sport. Students should place each hockey-related term from the word bank in correct alphabetical order on the blank lines provided. Use this final worksheet as a simple quiz to determine how well your students remember the words associated with ice hockey. Each description is followed by four multiple choice options.